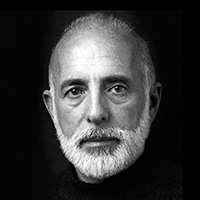 To celebrate the centennial of the renowned choreographer and director Jerome Robbins (1918–1998), this program will examine how the ballets (including Fancy Free and Dances at a Gathering) and Broadway work (including On the Town, Peter Pan, West Side Story, Gypsy, and Fiddler on the Roof) of Robbins have been presented on television. Rare interview and performance footage will be screened and discussed by a panel of dancers and others who worked with Robbins including Stephanie Saland, Grover Dale, Judy Kinberg, and Sondra Lee. The discussion will be moderated by Amanda Vaill, author of Somewhere: The Life of Jerome Robbins. Paley DocPitch Competition 2018: Be "In the Room"!